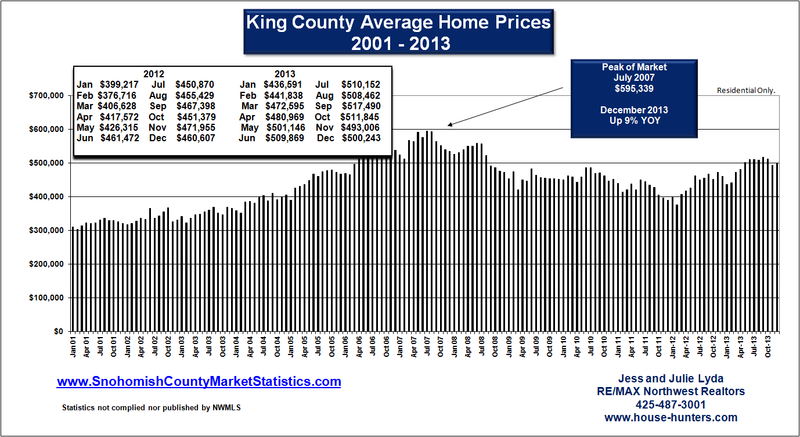 2013 brought lots of good changes in our local real estate market. Prices and sales volumes have risen, and foreclosures have dropped dramatically. Along with historic low interest rates, the local real estate market continues to heal from the pains of the implosion of the real estate bubble. 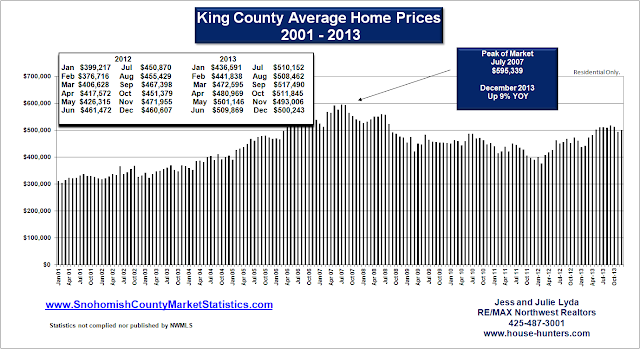 This is all great news as we move into 2014 and the real estate market continues to improve. Current homeowners will see their home values continue to rise and recoup the losses over the last 5 years. For the second year in a row, prices are up in both counties. 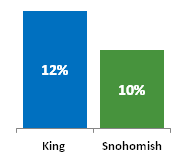 Average home prices are up 10% in Snohomish County and 12% in King County. As we predicted exactly a year ago, lack of inventory is influencing the market. This caused a heated spring and summer market with rapidly rising home prices and multiple offer situations the caused plenty of frustration for homebuyers. 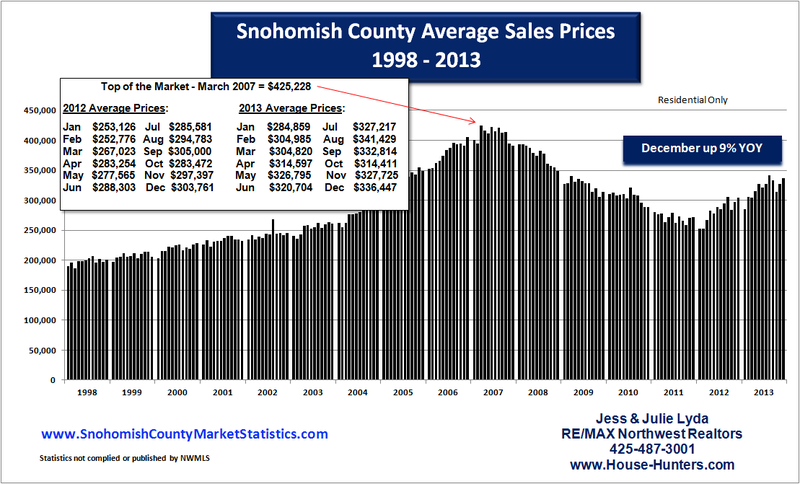 Until April of 2013, for 18 consecutive months prior, sales outpaced new listings. That brought fear that we just might complete run out of inventory altogether! But that trend started to reverse itself by summer and inventory continues to slowly increase. 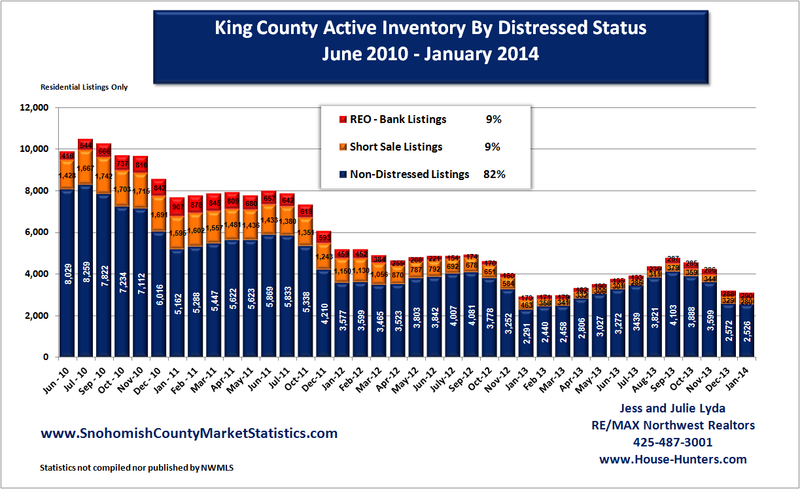 This chart really shows just how much active inventory has been shrinking over the past few years. We can also see in this chart the dramatic decline in distressed properties. Short sales and foreclosure continue to decline which also helps the market to stabilize. For 2014 we expect inventory to continue to increase slowly. With interest rates still remaining at historic lows we expect the market to be brisk again during the spring and summer months. 2014 will be a good market. While interest rates remain at historic lows, it will still be an excellent market for first time homebuyers. For those looking to sell and move to a new home, it will be a great time to take advantage of improved home prices and low interest rates! Nice article, Which you have shared here about the real estate market. Your article is very informative and I liked your way to express your views here. If anyone looking for the houses for sale in royal oak MI, soldcallelvis is the best for you. Thanks for sharing the analysis of real estate. It will help you to get the home and help you to invest in the market. Aggressive Growth Marketing Ltd is the building management Sydney provides the title management services.